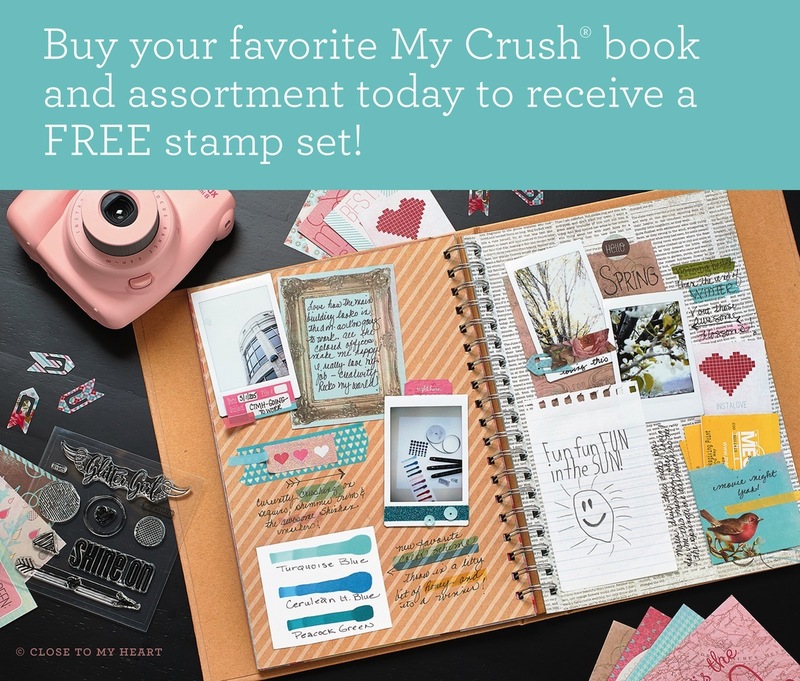 We’ve loved the enthusiasm you’ve shown for the stamping techniques we’ve shared this month, which is why we’re especially excited to share with you another technique today. This one we know you’ll want to try out soon! 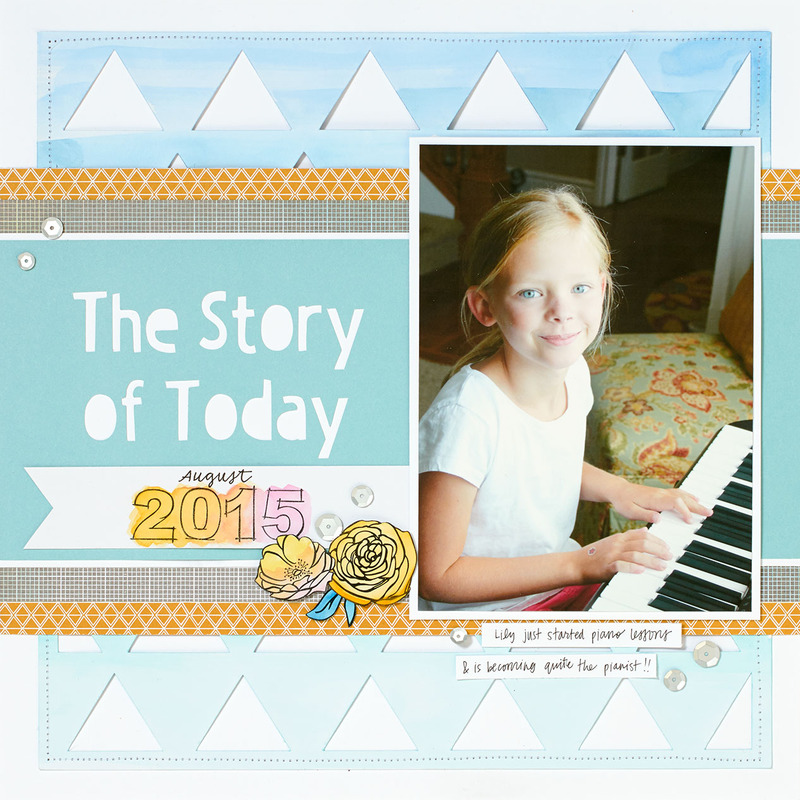 The real story of today is the “2015” stamp on this page. We’re going to walk you through how to create this coloring effect where the yellow paint blends into orange and then pink across the stamp. Here we go! 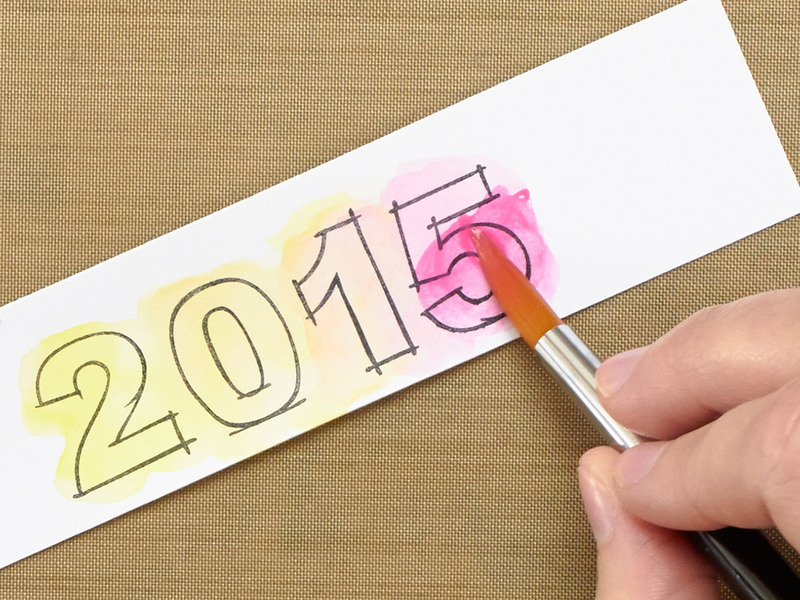 Step 1: Using black StazOn™ ink, stamp “2015” onto watercolor paper. Step 2: Dry the ink with a craft heater or allow to air dry until you are certain the ink is no longer wet. Step 3: Using yellow watercolor paint, paint over 2, 0, and 1 in that order. The paint should be a bit darker on the 2. We recommend starting out with a more watered down paint. You can always add more paint to make the color darker after the first coat. Step 4: With the yellow paint still very wet, paint over 5, 1, and 0 in that order with pink watercolor paint. Fade the pink paint into the yellow paint over the 1 and 0 until you get your desired look. The paint should be a bit darker on the 5. And there you go! This technique can be used on a wide variety of stamps, including shading flowers, like the one underneath the number 5 on this page. See how the petals fade from yellow to pink? Our artist used exact same technique and colors! Warning: painting with watercolors can become highly addictive, especially as you try experimenting with different colors! 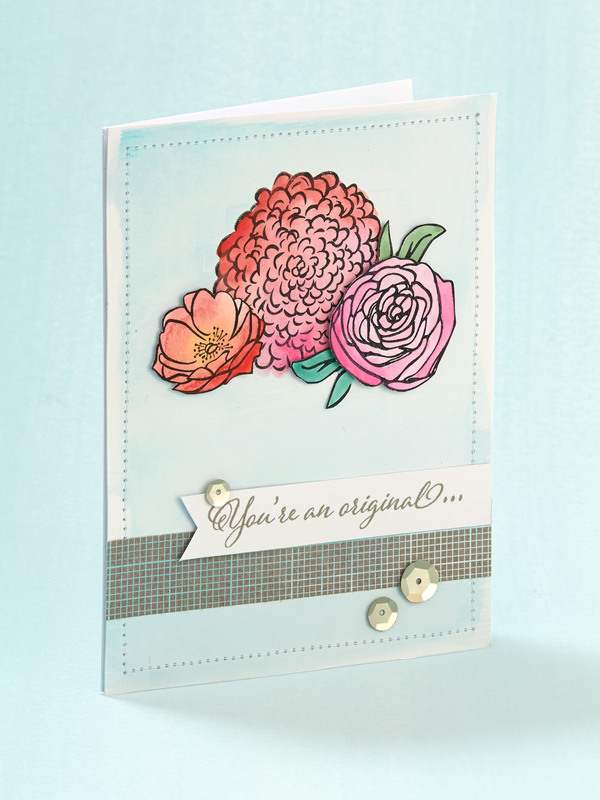 The center blossom on this card uses this technique but with red and pink watercolor paints. Shading stamps with watercolor paints adds so much more dimension and life to the artwork. And what’s neat is that no two blossoms are alike! The red and yellow flower on the left side of this card shows another variation of this technique. Instead of blending the colors linearly, start with the first color in the center of a blossom. Then paint the outside of the blossom a different color and blend them into each other in the middle of the flower. Just like this card says, you’re an original! Embrace your inner artist, and play around with creating original works of art with watercolors and stamps. 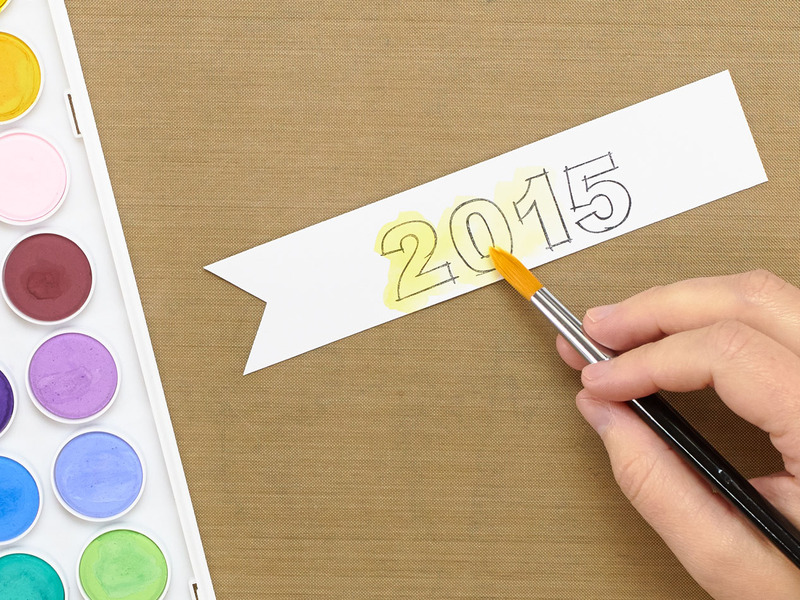 We know you’ll love expressing your creativity with a paintbrush in hand!